The first-ever community based, design-driven movement that makes over much needed spaces at local charities in the U.S. and Canada. Non-profit organizations that receive these deserving makeovers serve a variety of worthwhile causes that impact people from all walks of life. To support non-profit organizations that offer basic needs like food, shelter and safety to local communities, in addition to a host of many other services. And for those who participate, Design For A Difference™ is an opportunity to make a real difference in the lives of people; including themselves. As research continues to support the use of evidence-based design in improving quality of life, Design For A Difference™ remains at the forefront of this innovative movement. 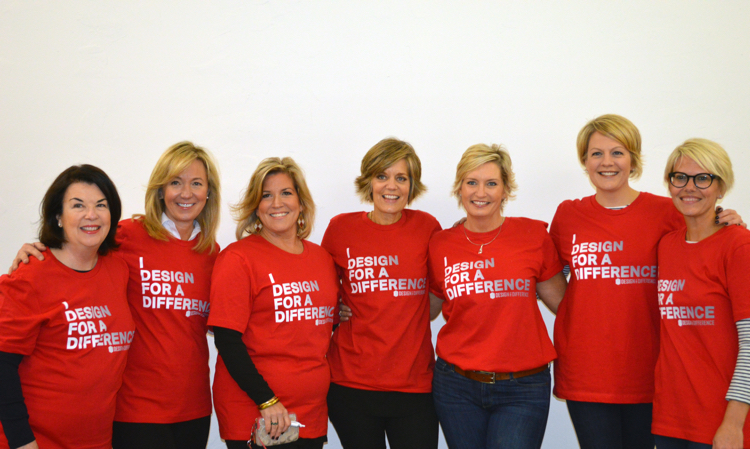 Any person, business or organization that has the passion to make a difference may participate in Design For A Difference™. This includes professionals from the Architecture & Design sector including practicing and emerging residential and commercial designers and design students. A number of Design For A Difference™ projects occur at various times throughout the calendar year. Projects vary in duration from one day to several months and may include a variety of different spaces based on the needs of the charity. Design For A Difference™ projects are conducted in cities throughout the U.S. and Canada. They are sponsored and executed on a local level by IDG members and their respective showrooms. © 2019 Design for a Difference is a registered trademark of the International Design Guild.